A cracking 3-1 home win over high flying Sheffield United at the New Den was enough to take the points as the Lions produced probably their display of the season to lift themselves slightly away from the danger zone in the Championship on Saturday. Just as importantly this was a lift in morale that the Lions needed urgently as they got back to winning ways following a 6 match winless streak. Following a dismal November where the Lions failed to pick up a win it was not surprising that Sheffield United in third place and looking for automatic promotion to the Premier League started full of pace and passion and showed oozes of eagerness. Yet the recent 5-4 match against Fulham seems to have jolted them in defence and despite enjoying a whopping 63% of possession away from home were unable to convert the possession into goals as the Lions defence held firm in the first ten minutes without too many warning signs. Indeed it was the home team who took the lead on 14 minutes when some good work from Steve Morison set up Lee Gregory to turn and finish on the counter-attack. United kept coming forward in response to their early deficit but played too many cross field passes and more times than not ended back up at square one or would lose the ball in a promising position. Any neutrals would have been hard pressed to work out whom was the home side at this point as the Yorkshire outfit worked the Millwall midfield with increasing dimensions and the Blades David Brooks equalised brilliantly with a volley from a tight angle with 41 minutes on the clock to restore parity. After recent poor displays by the home side it would have been easy to fold as the two teams went into the half time break at one apiece however Millwall showed tremendous resilience though and were not to be undone in front of an attendance of 12,669 down in South London. Mahlon Romeo finished well in a one on one situation to restore the hosts’ lead on 66 minutes, not bad for a defender and Jake Cooper headed in Jed Wallace’s free kick to finish the match off with 3 minutes left on the clock and ensure that Sheffield United would fall to a seventh league defeat. They drop down to 4th with this loss. The Lions were without a win since 21 October but this win lifts them up to 17th as both QPR and Barnsley around them both fell to defeats. Sheffield United were poor in front of goal, managing just two shots on target as they slipped to a third game without a win but that is to take nothing away from Millwall who showed grit, steel and a few stud marks on their way to the 3 points. 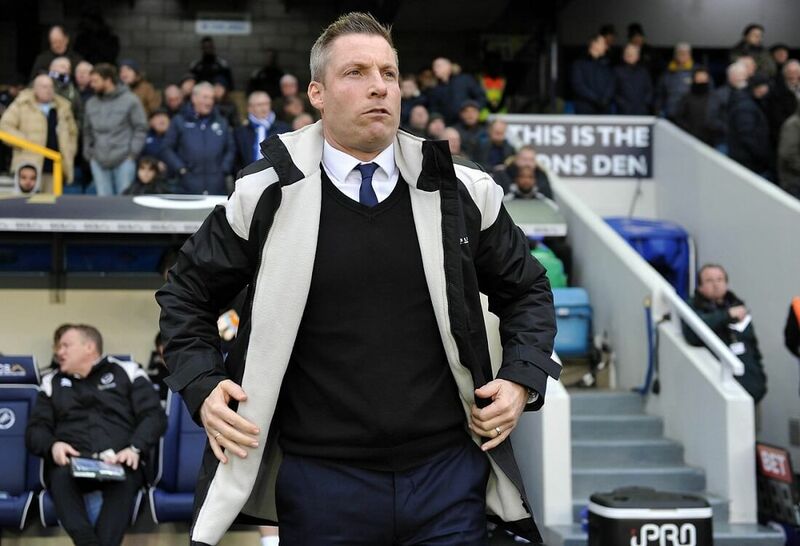 United now trail second-placed Cardiff by six points while Millwall are now 6 points clear of the relegation zone. “We had a conundrum at half-time. Do we leave it as it is and hope that we get a back in the game and our 4-4-2 shape dictates play, or do we change it?